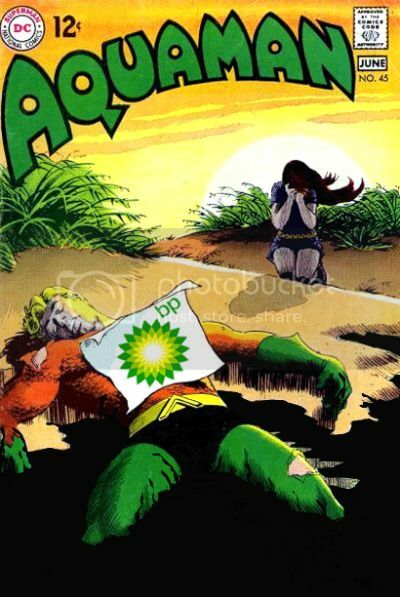 BP sends its sincere condolences to the family of Aquaman (1941-2010). Now, would someone please get the dead fishman out of our crude. Fish scales kill the resale value. Artwork by Rob at the Aquaman Shrine, who will never admit his fondness for dolphin sandwiches.